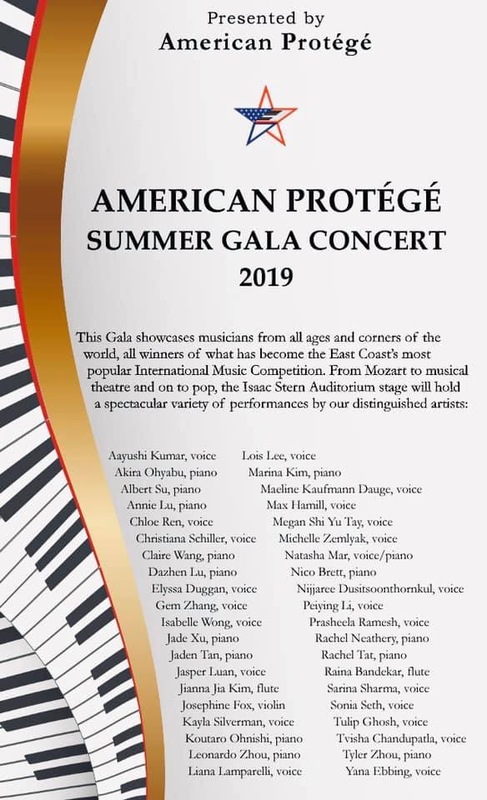 Christiana Schiller has been selected as a winner of the prestigious American Protege Summer Gala at Stern Music Competition. 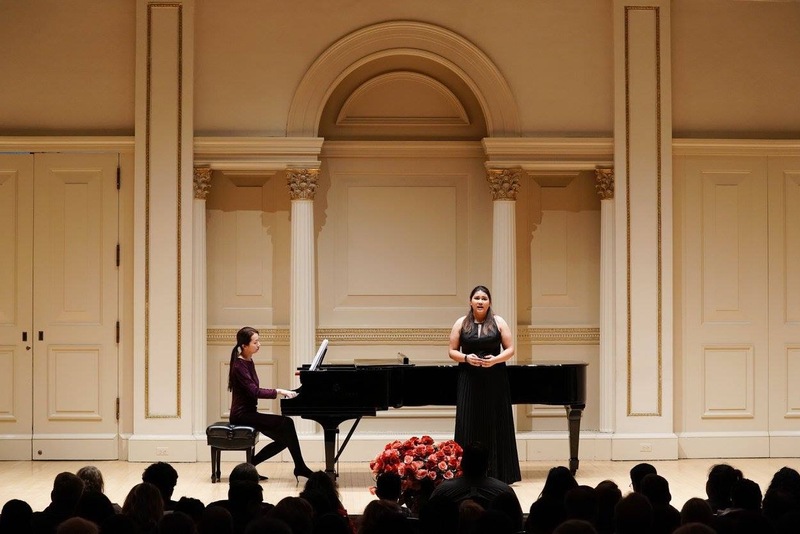 With this, she has been invited to perform at their Summer Gala Concert in June 2019 at one of the world’s most illustrious venues, the 2,800-seat Isaac Stern Auditorium / Perelman Stage of Carnegie Hall. This will be Christiana’s 4th time performing at Carnegie Hall, but it will be her 1st vocal solo performance at the main stage. 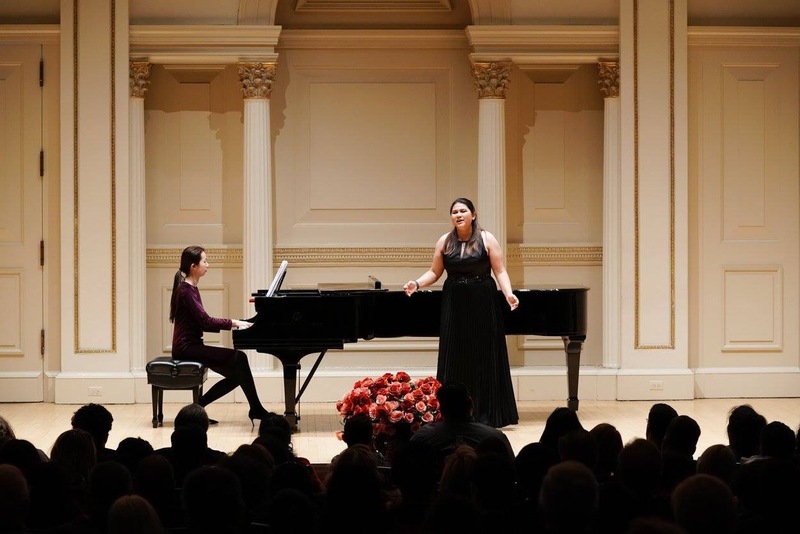 In 2017, she was a 1st place winner in the American Protege International Vocal Competition - Broadway/Musical Theater Category, and she performed for the first time at Weill Recital Hall of Carnegie Hall in December. 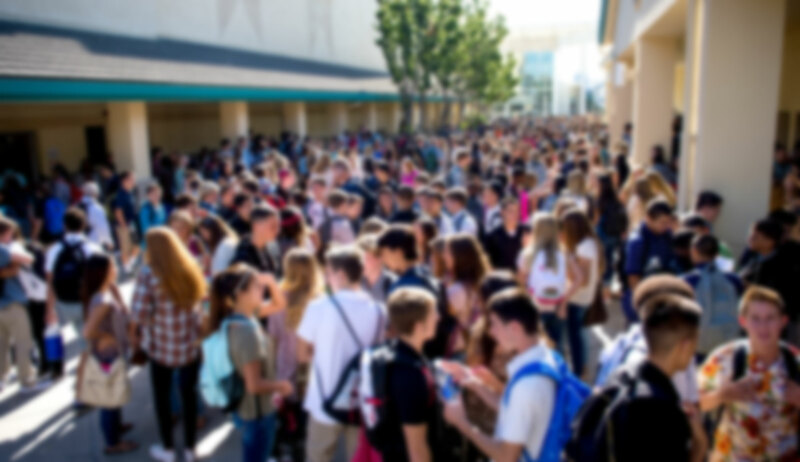 Below is the link to the American Protege website. 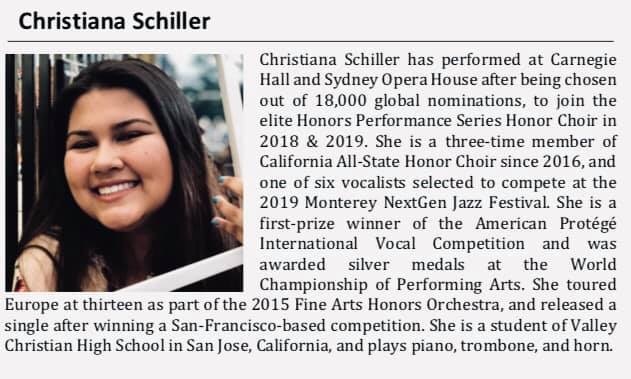 I’m attaching a copy of their poster and Christiana’s short bio that will be added in the program, plus some pics when she performed at Carnegie Hall in 2017.